It’s now December, meaning 2018 has almost come and gone in the blink of an eye. It also means something more significant to all of us, especially to parents – it is now officially holiday season. It can be difficult as a parent in this day and age buying gifts for your children with so many options, and especially with so many gadgets and electronic devices just asking for your money. Of course, at a certain age, we’re sure your children are beginning to want the same thing: A smartphone. Are we wrong? With the average child now receiving their first phone at the ripe age of 10, it’s a relief to know that most parents aren’t alone in this endeavour. It can be difficult to prepare for your child and their eventual smartphone usage, so we’ve come up with some tips to help you out. 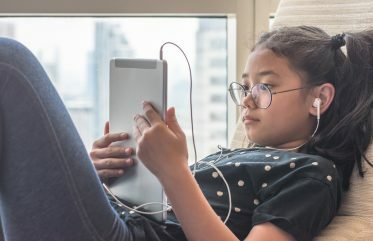 Although you might think your kid is responsible enough to handle a social media account and a smartphone, the truth is that children mature and develop proper understandings of responsibility at different rates. It’s up to you to know whether your child is mature enough to have a phone, but sometimes allowing them to enter the digital sphere without a proper understanding of its risks and hazards can do more harm than good. You wouldn’t want that for your child, so it’s important to help maintain their accounts on their phone. By this we mean monitoring the apps they download from the App Store or Google Play Store and making sure they come to you for permission first. And of course, if they have social media accounts, then ensure you are able to check what they are posting – you don’t want them posting the wrong information on a public account. Ensure your kids spend a healthy amount of time off their phone as well as on, as overuse can affect their levels of engagement and even cause addiction. A way of accomplishing this is by setting guidelines so you can allow your child time for homework and socialising. Simple limits can go a long way for your children, and can even help manage potential phone addiction if done effectively. Simple ways to put this in effect can be done through setting rules such as ‘no phones after 7:00’ or ‘no phones while at the dinner table’. Making ‘no-zones’ can also encourage your children not to use their phones in the wrong places, such as disallowing them to use their phones while at school. 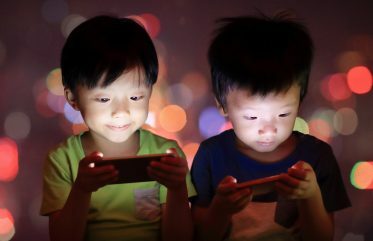 If kids use their phones excessively, they can suffer a variety of consequences such as ongoing headaches, eye strain and sleep disturbance, as well as anti-social behaviours and academic decline. Considering this, it’s worth your while to maintain appropriate screen time limits. Make sure you inform your children of the importance of never talking to strangers or people they don’t recognise online. Tell your child to let you know if they get a text from a phone number they don’t recognise, especially if they are asking for personal information or photos of them. It’s important to teach your children what to do in these situations, with the best responses being to block the unknown number or account, or informing you or another trusted adult about it. While this is important for text messaging, it can also be applicable in a variety of situations, including social media encounters, online video-game chats, and of course in real life, too. This is something more relevant for children with social media accounts, but can easily be applicable to anyone with a mobile phone. In the digital era of the 21st century, thoughtless crude messages and digital footprints are easily left all across the virtual web in just a tap, and children’s online reputations can be traced back to these. With one in four Australian children being bullied in the last 12 months, it’s certainly relevant to ensure your children are not on the giving or receiving end of crude comments. Tell your children to think ‘Would I say this to their face?’ when texting someone, or ‘What would my parents think if they knew I said this?’. If sending photos to friends or posting on social media, tell your kids to ask themselves ‘Would sending this embarrass or upset me or anyone I know?’ before hitting the share button. It’s important for children to maintain proper social habits, and this can be difficult to enforce after purchasing them a smartphone. Teach your kids not to frequently use their phone with other people, no matter how tempting it may be to check the latest like they have. This also relates back to setting time limits and no-zones for phone usage. 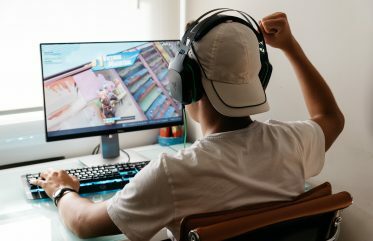 No one wants to be victim of the friend who spends all their time on their phone, and a good way to ensure this doesn’t happen is to teach your children not to do it themselves. Instead, let them talk and connect with the people around them and allow them to experience the best of both worlds. These are just a few of the tips available for parents of children heading into the digital landscape. Keeping rules like these can have positive effects on children and help maintain their phone habits. Looking for the right plan for your kid’s first phone? Check out our options here. And of course, Yomojo FamilyEye is an essential filter for any child’s smartphone – with options such as filtering out adult content, the ability to create ‘safe zones’ for your child, and camera control options, it’s simply a must-have for all parents. Check it out here! If you’d like to contact us, feel free to call one of our team members at 1300 966 656 or email us at support@yomojo.com.au.